Please bear in mind that each posted link is unique for different social platforms . For example: if the user clicks on the same link on Twitter and afterwards on Facebook, the overhanded analytic data will consider that fact and count one click on Twitter and one on Facebook. The first three mentioned parameters are always required to be defined, while the last two parameters are optional. 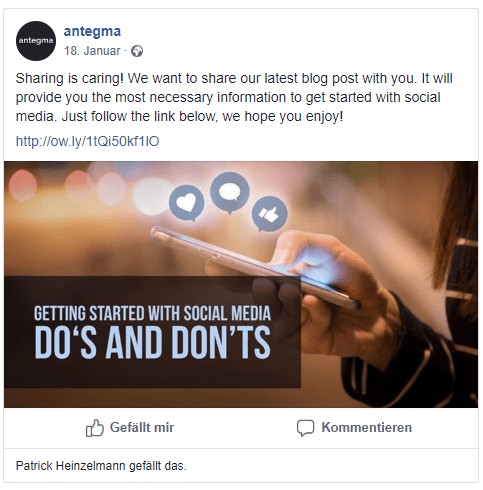 Hootsuite, as the leading social media management platform, allows you to define tracking parameters in links you are posting on social media. You could use either Google Analytics or Adobe Analytics to grab the data from the links. As Adobe solution partner we will focus on Adobe Analytics and how to set up the integration for Hootsuite. With this link you can generate certain insights. You are able to retrack the social platform and even the post which generated the traffic. Depending on your success metrics you can measure the conversion rate with this information. You are able to define whether a post is organic or paid. You might figure out which content is better for organic or paid. 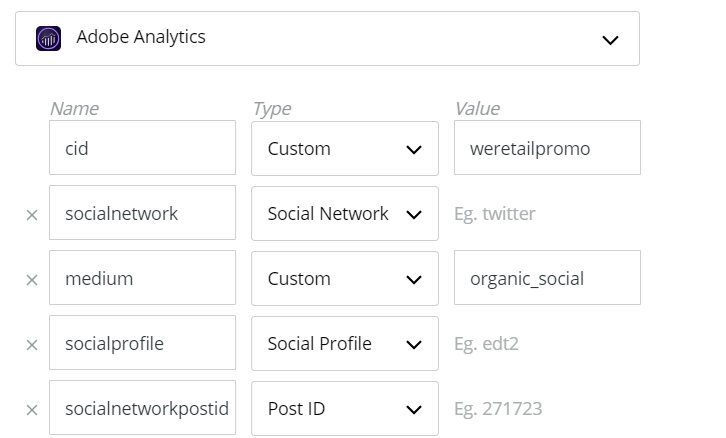 To set up tracking presets in Hootsuite for Adobe Analytics you can start by define the parameters for the link setting. To ensure Adobe Analytics is reacting on this preset and grabbing the data you should consult a technical implementation employee or a data scientist to set up the configuration. Furthermore this employee should understand your marketing needs to set up the best fitting tracking system. Some of you might wonder, why you should integrate Adobe Analytics with Hootsuite, when you can display the data from the link settings in Hootsuite itself? 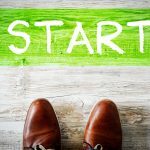 The answer is really simple: By integrating Adobe Analytics you are not just able to manage social media data in you well-known analytics platform, on a further step you should be able to combine the social data with data you get from your website to gain deeper insights what drives your business on social and on your website. Once up and running, your tracking system will exchange data from Hootsuite to Adobe and vise versa. The gained analytics data will give you deeper insights than before and might differentiate you from your competitors. With that being said, we hope we could support you with setting up your own tracking system. If there are any further questions, don’t hesitate to write a comment below or contact us at any time.